Today, you may have noticed that a whole bunch of your favorite websites (us included!) 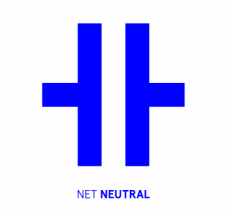 are participating in a symbolic “Internet Slowdown.” This day of action brings together a very diverse group of companies, organizations, and individuals to stand up for real net neutrality. Net neutrality is the principle that all legitimate web traffic should be treated equally by internet service providers; it’s fundamental to how the internet can function as a democratic platform where all voices can be heard. 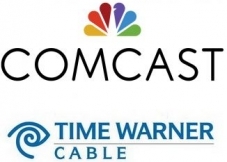 WASHINGTON DC — The Writers Guild of America, West (WGAW) and the Future of Music Coalition (FMC) submitted formal opposition today to the proposed Comcast-Time Warner Cable merger, petitioning the Federal Communications Commission to deny the transaction. In 2010, both WGAW and FMC raised concerns about the vertical integration between Comcast and NBC Universal. Both organizations urged the FCC to adopt strong conditions to protect content creators, consumers and competition. But, in the three years following the merger, Comcast has used its market power to harm content competitors on both traditional and online content platforms. The proposed acquisition of TWC, even with nominal divestitures to Charter and Spinco, will magnify the harms that have occurred in the last three years and will hinder the development of a diverse and competitive media market. The Guild and the Coalition assert that because the deal would grant an unprecedented amount of power to a single entity, harm consumers and create a serious threat to competition in the video and broadband marketplaces, it does not meet the FCC’s criteria for serving the public interest. The proposed deal between Comcast and Time Warner Cable is the latest in a wave of major media mergers drawing public concern and scrutiny from the feds. Deals like AT&T’s reported acquisition of Direct TV for $50 billion and Facebook’s purchase of WhatsApp for $19 billion, along with last year’s Maker Studios buyout by Disney—also near the billion dollar mark—are part of a larger trend of corporate consolidation. The Comcast Time Warner deal itself could be upwards of $45 billion, but is not the biggest deal Time Warner has been a part of. The Time Warner/AOL Online deal in 2000 was the largest merger by value ever announced, coming in at over $186 billion. Beyond the staggering dollar figures are very real antitrust and public policy concerns. Let’s look at what it means for creators and fans when just a few companies control so much of the media, technology and entertainment universe. On July 15, 2014 Future of Music Coalition submitted the following comments in the Federal Communications Commission’s public docket on Net Neutrality. You can submit your own comments at http://www.fcc.gov/comments ; reply comments will be due in mid-September.